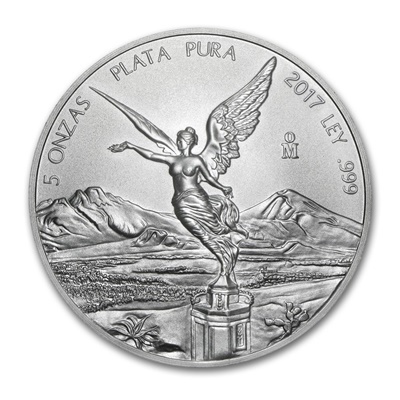 The 5oz Silver Mexican Libertad is .999-fine Silver and is one of the most beautiful Silver coins in the world. The coin is perhaps best known for the design of its reverse. 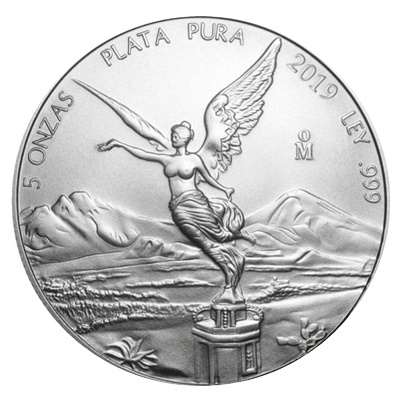 The reverse depicts two key symbols of the Mexican people: the Angel of Independence, considered the symbol of Mexico City, and the Mexican volcanoes Popocatépetl and Iztaccíhuatl, which memorialize the legend of two lovers for whom they were named. 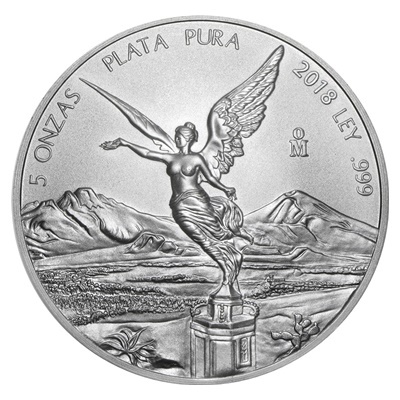 The main historic monument for the Mexican people, the Winged Victory angel graces the forefront of the Silver Libertad's reverse, while the volcanoes are seen in the background.